Alanna of Trebond really wants to be a knight of the realm. Girls aren’t allowed to be knights, but that is a small inconvenience. It isn’t hard to convince her brother to switch places with her, after all Thom really wants to be a sorcerer not a knight. 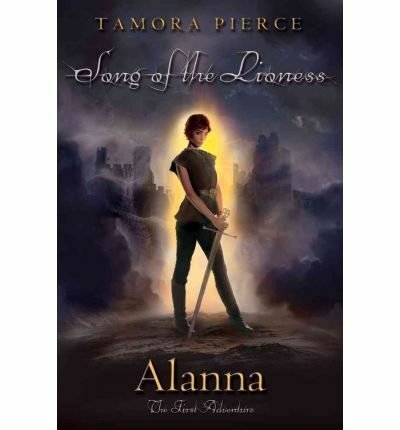 Disguised as a boy Alanna becomes Alan and begins her training as a page. The training is much tougher than she expected. There is plenty of book work as well as the need to master weapons and combat magic. To succeed at this she is going to have to be dedicated and manage her temper. Throughout it all she makes some tight friends amongst others at the palace and also in some rather unexpected places. This is the first of the Song of the Lioness books and is the first place we meet the remarkable Alanna, as well as Prince Jonathon, Raoul of Goldenlake, Gareth of Naven and the cheeky Rogue George. These are characters we will come to love. You can’t help but adore a character as focussed and determined to achieve everything she puts her mind to. Alanna is great, not just her strengths but also her weaknesses – the blending of these traits is what makes her so believable. She struggles, things don’t always come easy for her and that is one of the things that keeps the reader engaged. Pierce creates a wonderful world, populated with amazing characters. As soon as I put this book down I picked up the second, I just couldn’t help myself. Age : 11 + certainly don’t let that put you off if you are looking for something for a YA who likes fantasy and great female characters.